When I was a young boy, watching football on Television with my Dad, I remember how the “Two Minute Warning” was such a big deal. That ‘warning’ has softened a bit today with more ads and endless ‘time outs’, yet, it still has its meaning. The word ‘Advent’ means ‘coming’ or ‘arrival.’ It’s a season the Church marking four weeks before Christmas; a time to focus not only on the celebration of Jesus’ birth, his first arrival, but also a time when we think about Jesus’ coming again, his second arrival, and we hear Jesus telling us that the time is growing short and it’s time to get our head in the game. There have been many predictions of the end of the world. Probably the most recent was on December 21st, 2012. That was the date on which the 5,125 year cycle in the Mayan calendar ended. As we now know, the doomsayers were wrong, again. What are we to make of these kinds of predictions? The Second Coming of Christ is a theme that runs throughout the Bible. The Old Testament prophets, the Gospels, the Epistles and especially the Books of Daniel and Revelation have all pointed to a kind of cataclysmic day when the world as we know it will pass away and Christ will reappear, sin and death and evil will be defeated, and the Kingdom of God will be ushered in, fully and completely. My guess is if you were to visit today – Syria, Somalia, or Juarez Mexico or even some of our inner cities in the US – some people living in those places might say – that from all appearances, history as we know it, is coming to a close. Jesus’ word is not designed to prompt us to fear, but to action. The “Two Minute” warning does not say “game over,” it announces that now is the time to get to work! What Jesus wants us to get here is that the primary duty of the servant, our primary duty in this life, is to carry out the work given to us by God so that if our Lord were to return today – or a thousand years from now – he would be pleased to find us faithful. It means that we take seriously the call to follow Jesus, because that was at the core of his teaching. And it means that how we treat one another – our family, spouse, children, and friends – and how we treat strangers, the hungry, the homeless, the lonely, and those in need, matters deeply to God. We are servants of God preparing for his return, and God wants to reorient our hearts and minds, to point us in the direction of his will for our lives. 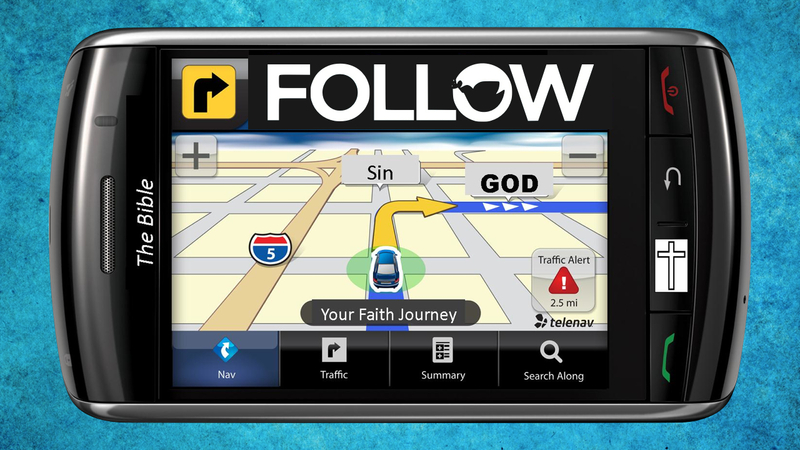 Like a GPS in a car, telling us the directions to our destination, so God gives us his directions, and invites us to follow. The announcement of Jesus’ coming again is not designed as a way of jerking the carpet out from under inconsistent and imperfect Christians. Yes, we have at times ignored the directions from God. Yes, we have sinned and gone our own way instead of God’s way. But the Bible tells us that God is gracious and merciful, slow to anger, and forgiving. Jesus’ words today are not words of anger, but words of grace and mercy, calling us back to a life of following him. IN other words, we need not let our imperfections drive us to despair. Mother Teresa often reminded her sisters that Christians are not called to be perfect, but they are called to be faithful. The call of Jesus to be his followers is not a call to be perfect, but to be faithful, to be mature in our faith, to live with our minds and hearts focused on him, whether this be the ‘end times’ or not. All Christ asks of us is that we live “in him” in such a way that we are not afraid or worried at his return, but overjoyed, because he return will mean our redemption and the redemption of his world. Ignacy Paderewski, was a famous Polish pianist who died in 1941. I told a story about him this past Sunday. Here’s another story. One evening he was scheduled to perform at a great concert hall. In the audience was a mother with her fidgety nine-year old son. His mother brought him in hopes that her boy would be encouraged to practice the piano if he could just hear the famous Paderewski. As the audience was waiting for the concert to begin, she turned to talk with her friends and the boy slipped away. And without much notice from the audience, who were busy conversing with each other, the boy went up on the stage and sat down at the grand piano and put his small fingers upon the keyboard. He began to play “Twinkle, twinkle little star.” The conversation of the crowd was hushed and hundreds of frowning faces turned in his direction. That, my friends, is a picture of Jesus. I often feel like my feeble attempts to follow Jesus sound like “Twinkle, twinkle little star.” I try to follow Jesus, but I get tripped up, I stumble, and I fall. But here comes the master, showing me something wonderful. He surrounds me with his loving embrace, and by his grace and mercy, makes my life into a beautiful song unto the Lord. I don’t know, maybe to some of you, it seems we’re living at the end of time. Perhaps your own personal world is coming apart and you’re at a loss for how to go on. Jesus invites you to take a deep breath, and to fix your heart and mind on following him. Can we commit ourselves, again, to the hope that in Christ, life makes sense – even in the darkest of times?